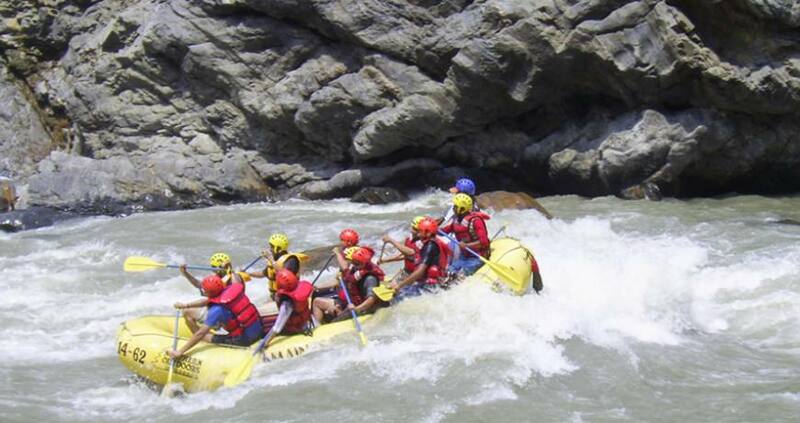 The Trisuli is Nepal’s most popular rafting river, impressive gorges, exciting rapids, some easier sections, and easily accessible from Kathmandu and Pokhara. The Trisuli white water trip exciting, fun and safe for all age groups. Our 2-day trips will overnights at Trisuli River Retreat our private camp with comfortable safari-tented accommodation set in private grounds with river views surrounded by forests. Recommended for intermediate Kayakers. 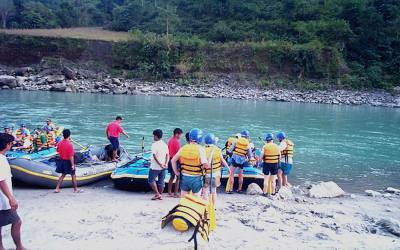 The Trusili raft trip can be easily combined with a trek out of Pokhara and/or a visit to Royal Chitwan National Park. hara. Day 01: Drive from Kathmandu to Maleykhu, raft to Majimtar Camp. Day 02: Raft from Majimtar Camp to Mugling and drive back to Kathmandu or Pokhara.